2-Hour Video: "A Birds-Eye Overview Of The Ten Terrains." 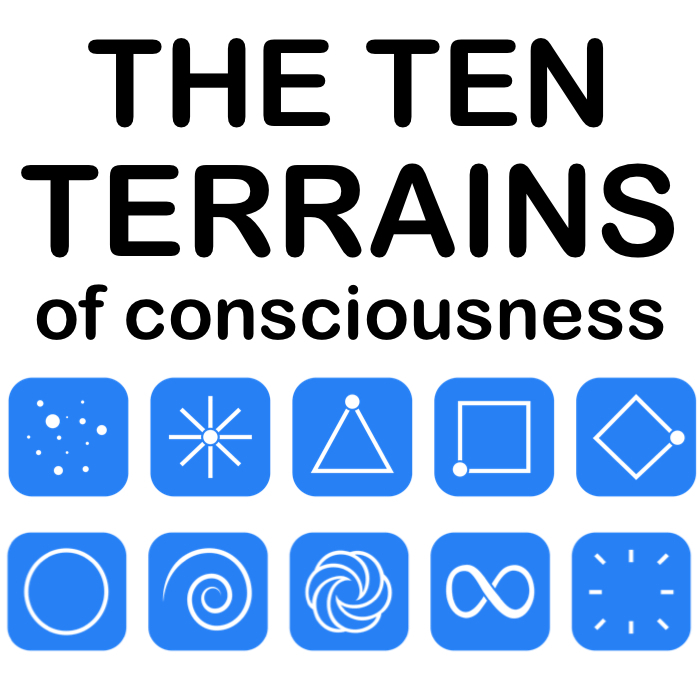 In this fascinating and entertaining 2-hour Video Presentation, the Co-Creators of the Ten Terrains—Tahnee Woolf and Allen David Reed—give an overview of the entire Ten Terrains Model to an enraptured live audience. See just how powerfully this Model can be applied to your life and to the world around you. You will have many 'aha' moments! ​"I loved the video presentation. What resonated the most was the vivid description of the different Terrains in detail. It made me see where I have been in this lifetime and where I am currently at." ​"Well done, fantastic wisdom and understanding you have brought through. I'm sure it's going to be huge and be a major contribution to human understanding and help many people." 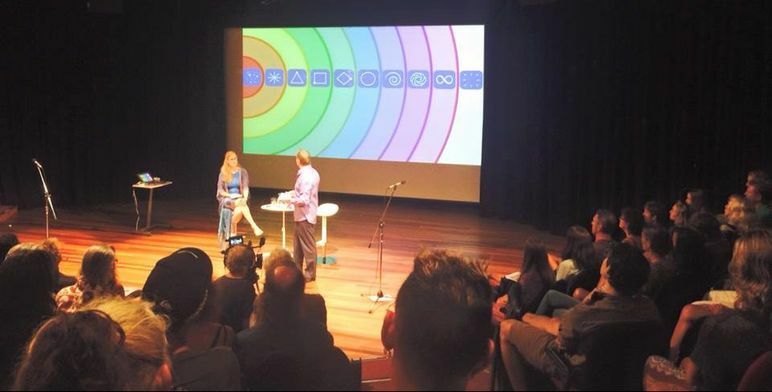 "Thank you for a very informative fascinating evening Tahnee and Allen. I enjoyed every minute of your presentation, it all made so much sense and needs to be taught throughout the world!" "You guys did a truly fantastic job of expressing something completely new to the world. Your work is giving me a lot more compassion towards the people in my life. I'm loving it!" "It was a great conference, dynamic and well presented! It's not easy to communicate so much information. Congratulations!" "I was and still am today excited to have been at your first presentation. I believe that your work is truly groundbreaking. I am sure it will have many applications and be very useful to many people in many situations. You did such a good job of bringing the work, and I enjoyed and understood your excitement and enthusiasm. It really is in my humble opinion fantastic and insightful work! I wish you every success with it and I hope the world is ready to receive this gift and profit by it. We are ready for this to impact us in a big way I'm sure. So thank you both again and good luck with it all." "Just wanted to say thank you both for a special evening last night. Loved every minute, life changing stuff." "A landmark night in my life ... Love love love your work and your dreams Tahnee and Allen. Congratulations and thank you!" "Brilliant work.... Awareness in action"
"Congrats to you both. I enjoyed the presentation immensly." "Thank you, thank you for the great presentation." "I was fortunate enough to be there last night and it was brilliant". the world receives you generously...."
" Fantastic presentation !!! Loved it!!!" "Thank you for your amazing presentation Tahnee and Allen. It was fascinating. I could feel the cellular event horizons I have traversed through cheering in me for being recognized and seen at last for what they have been! Many blessings to you for your incredible body of work and purpose for 10 Terrains." "Thank you so much for your presentation last night. It was terrific. I especially liked the many examples given. The transparency of the Ten Terrains of Consciousness seems to enable a sort of very quick 'establishment of connection' between people." "A really useful tool, with wide ranging applications. Ten Terrains will soon be in the common vernacular, I'm sure. The potential of your work is to assist the transition of the whole human race into the next stage of consciousness! That's pretty big!!!" "Writing a book, and presenting the summary of your research is a huge undertaking. Congratulations on bringing that to fruition, and enriching our understanding in an easy to take in way. I'm looking foward to your future workshops." 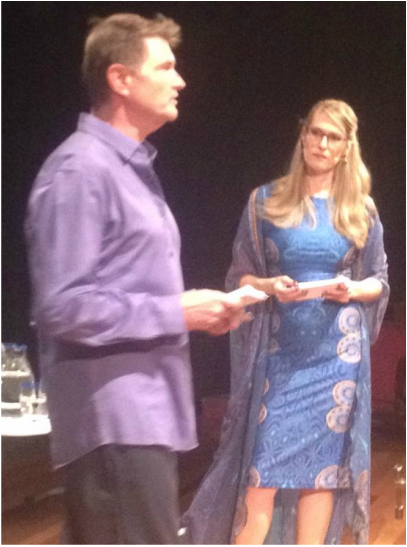 "Infinite Gratitude, Honour and Congratulations to both Allen and Tahnee for an absolutely transformational event. On behalf of Existence, thank you! 'And nothing was ever the same again'."